I mod in my sleep! 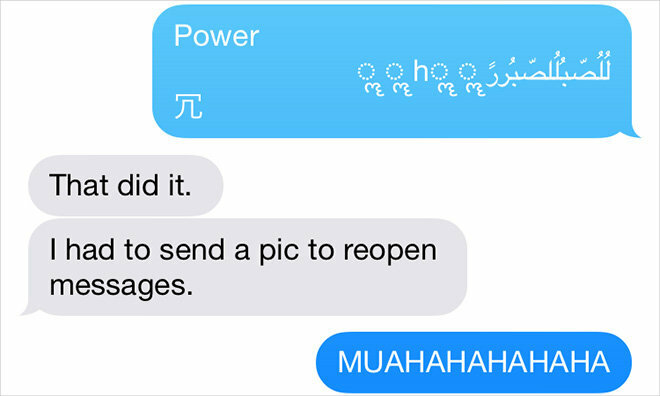 "AppleInsider reader Kaitlyn on Tuesday discovered that receiving the Unicode characters seen in the screenshot above through Apple's iOS Messages app triggers iPhone restarts, lockouts from Messages, Springboard crashes and more. " I saw that before you posted. iMessaged myself but no problem. They must have fixed it. Or, how does a cow laugh?